Kyle Kendrick sent to the minors. Wow, didn't remember he barely factored in that year. Phils trade C Ronny Paulino to SF for LH reliever Jack Taschner. John Mayberry and Carlos Carrasco are optioned to the minors. Rumors are Phils are thinking about picking up Gary Sheffield. Kyle Drabek gets a start in today's exhibition game, working his way back from Tommy John surgery. year reign at the top. They do predict a first ever Wild Card berth for the Phils. Mets seem to be picking up Gary Sheffield. 25 man roster is finalized, with Miguel Cairo getting the last spot. Phils open their title defense with Sunday Night Baseball against the Braves. Brian McCann’s big blast took the wind out of the sails and Derek Lowe did the rest as the Phils start the 2009 season with a loss. Off day, time to argue about why Charlie would set up a lineup with 3 lefties in a row. Phils look to get their first win of the season in Game #2. Braves looking to get their 2nd win against the Phils after only winning 4 all last season head to head. No offense, errors, and the Phils are 0-2. 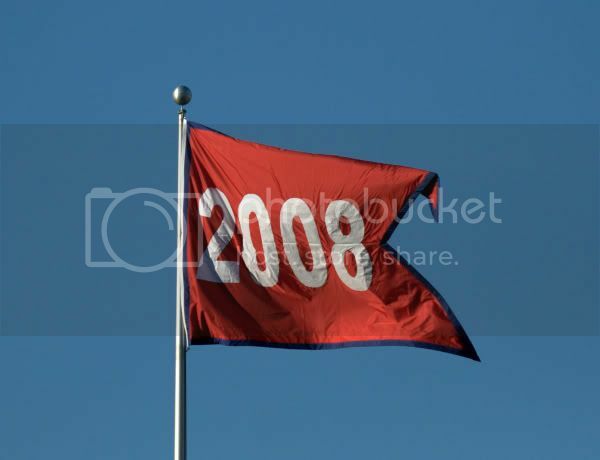 Today the Phils get their rings, maybe they'll wake up and realize 2008 is over.